Should the CRTC be phased out? According to the Montreal Economic Institute (MEI), the CRTC has outlived its usefulness. 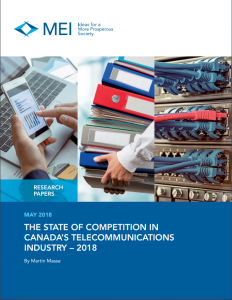 “Since Canada has successfully transitioned from monopoly to competition, there is a case to be made that the CRTC should be phased out as Canada’s telecommunications regulator.” That is one of the conclusions of the 5th annual edition of “The State of Competition in Canada’s Telecommunications Industry,” released today by MEI [pdf]. Instead of a sector specific regulator, the report says oversight of the telecommunications industry could move to a more general regulatory framework under competition law. The report also contends that, despite what it calls “simplistic and misleading” comparisons, Canadian wireless prices are competitive. “The average bill that Canadians pay for their wireless and internet services keeps increasing not because they have to pay more for the same services, but because they are paying more for more and better services.” The MEI report cites numerous international metrics that Canada has some of the highest quality wireless networks in the world, and comparisons of prices rarely account for service quality. Looking at the regulatory framework, the report observes, “The main concrete difference so far between the FCC’s and the CRTC’s approaches to net neutrality has been the steadfast opposition of the Canadian regulator to zero-rating. … In banning innovative and pro-competitive targeted pricing plans, the CRTC has not protected the integrity of the internet; rather, it has raised prices for certain consumers and lowered prices for no one.” This is a familiar refrain to my readers for whom I have made the same observation over the years. When AT&T launched mobile TV with #zerorating, mobile competitors responded with unlimited data plans. In this instance — as in many others — Canadians would have been better off if the CRTC had relied on market forces instead of attempting to manage the competitive process. It has been more than 12 years since the TPRP’s report was issued and, as discussed above, the CRTC has shown few signs of restraint in its approach to telecommunications regulation. While it has abandoned its prior focus on retail regulation, it has also expanded mandatory network access schemes, created policies that dull incentives to invest, and rewarded product imitators instead of product innovators. If maintained, these policies are bound to hurt Canadian consumers in the long run. Although dismantling Canada’s telecommunications regulator might meet with stiff opposition from partisans of continued heavy-handed regulation, it would be of net benefit to Canadian consumers and to Canada’s economy. The CRTC—while a necessary actor in Canada’s telecommunications landscape during the transition from monopoly to competition—has outlived its usefulness. No doubt, the assertions made in the MEI report will feature prominently in the Regulatory Blockbuster at The 2018 Canadian Telecom Summit, taking place June 4 – 6 in Toronto. The Regulatory Blockbuster will feature leading advocates from Bell, TELUS, Rogers, Teksavvy and Ice Wireless. [Update: May 8, 11:50am] The MEI report author has an opinion piece on the Financial Post website, entitled “The CRTC should celebrate its 50th birthday by giving up telecom regulations entirely” with the caption “Martin Masse: You may be wondering why exactly we still need a dedicated telecommunications regulator. We don’t”. 3 comments to Should the CRTC be phased out? How would you balance this against the ‘worlds worst pricing’ as described in the recent piece from Michael Geist? I don’t know who the MEI are, or what their agenda is, but everything I have read coming from them makes me doubt that they know anything about the telecom industry. 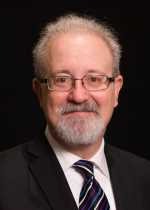 To find out more about MEI and its agenda, perhaps click on the links I provide. You may disagree with their perspectives, but they are quite knowledgable in this sector.